Curtis Martin is the founder and chief executive officer of FOCUS, the Fellowship of Catholic University Students. In January 1998, FOCUS established its pilot program at Benedictine College in Atchison, Kansas, with two staff members and twenty-four students. Curtis met with Pope John Paul II later that year and shared the vision of FOCUS with him. The Pope’s words to Curtis were, “Be soldiers.” Through God’s grace, FOCUS is now on one hundred campuses with over 550 missionaries and supporting staff. 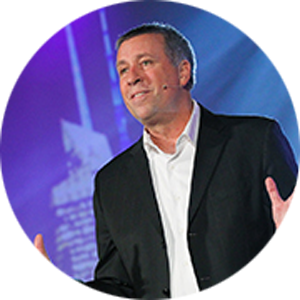 An award-winning and dynamic speaker, Curtis has the ability to help his audience discover a vision for life. Whether he is on college campuses or television, speaking at conferences, or working with corporate America, Curtis engages people through humor, stories, and his own captivating life experiences. In 2011, Pope Benedict XVI appointed Curtis as a Consulter to the Pontifical Council of the New Evangelization. Curtis Martin holds a master’s degree in theology, is the author of the bestselling book Made for More, and co-host of EWTN’s ground-breaking show “Crossing the Goal.” He serves as the vice chairman of the Augustine Institute in Denver, a Catholic graduate school dedicated to the New Evangelization. He and his wife Michaelann host the EWTN television series “Family Matters.” Curtis and Michaelann live in Westminster, Colorado, with five of their nine children.